Change under any circumstances tests our ability to survive. 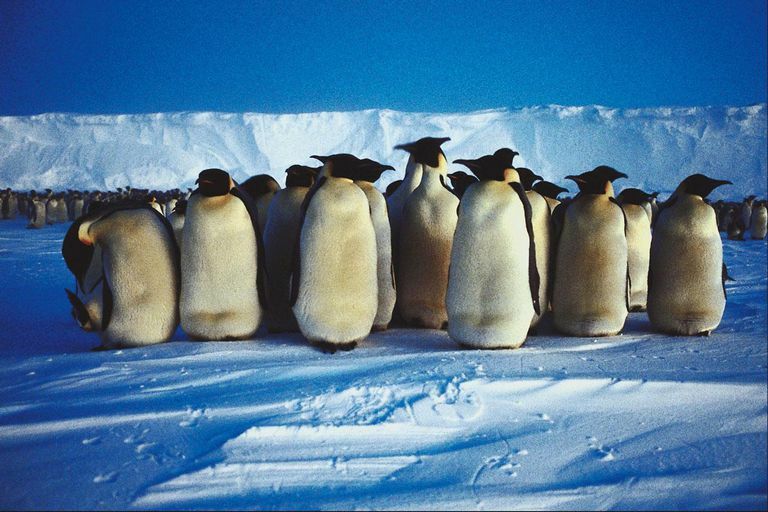 So what can a tale of emperor penguins depicted in "Our Iceberg Is Melting: Changing and Succeeding Under Any Conditions" teach us about survival? The co-authors, John Kotter, Harvard Business School professor and transformational catalyst and Holger Rathgeber, engagement leader, also of Kotter International, are experts in dealing with change. The scene is set in the penguins’ Antarctic community on top of an iceberg that is about to melt away. The cast of penguin characters take on human traits, with all the little quirks, often humorous, “Have a squid, you’ll feel better,” one said, as they experience this sudden dilemma. The penguin's home is about to change and they must figure out what to do. The penguin colony of 268 penguins is managed by a leadership council of 10, near able-bodied penguins. The iceberg problem was first observed by a non-council member, Fred, a scientific kind of guy who spends time observing the iceberg and changes of the sea. Fred approaches Alice, a tough-minded council leader, who has a reputation to see through any obstacles, including the iceberg melt. Alice had doubts at first, whether Fred was not out of his mind, “having a personal crisis” she thought until he took her to observe the inner problem of the iceberg unfolding. Working together, Alice and Fred approached the council, starting with the Head Penguin, Louis. Alice had to be insistent, because to Louis, Fred was an unknown penguin. Alice was quick to remind her boss they had to take risks, which Louis then agreed to have Fred disclose the situation to the rest of the council. As Fred prepared, he found out earlier some of the other council members were set in their ways and did not like to be told to, because it was their job to do the telling. Comparing this situation to real-world problems with people working together--with no plan, one of the council leaders suggested forming a committee to analyze the situation further. But Alice believed this problem required a new kind of communication tactic — going straight to the entire colony for more reactions and hopefully to find an acceptable solution. This is starting to sound like crowdsourcing techniques, I thought, and there are some interesting reactions. As the authors suggest, Fred, Louis, and Alice had foresight, not as change agents, but as leaders to appeal a sense of urgency to the crowd. Soon after, after much contemplation, an unexpected turn in events occurred when Louis assembled a team of penguins aside who seemed to care and had the most sense about what was to happen, including Jordan, known as the “Professor” on the council. This newly assembled team found a way within a short span of time — to build a relationship of trust. Similarly, on collaborative project teams, often people are assembled to work together, despite collaboration barriers, and often whom you have not worked with before. So, the penguin tale shows us how to be flexible and open to change. The team decided to talk with others in the colony to get ideas. Through trial and error, and exploring ideas from the colony, one of the team members spotted a phenomenon that would become the new and different way of life for the penguins. How do people work together and what must people do to survive change and succeed? Kotter and Rathgeber give hints along the way, who themselves feel changing behaviors, including thinking and feeling, are the impetus for better results. The penguins' tale is wonderfully charming. The authors’ eight step process described next, is revealed as the story unfolds, providing further lessons to teams and individuals, to take risks, reach out to others, and be willing to help. The Eight Step Process of Successful Change developed by the authors is used to demonstrate the actions needed for the penguins and us to survive. These steps are consolidated from the published book and intent on supporting a forward thinking and adoptable process with respect to collaborative team performance. Set the stage is about creating a sense of urgency and communicating this pressing need with vigilance, through a prescribed team with leadership skills and sound judgment. Decide what to do is about strategy for change, given the factors the way they currently are and reaching far into the future that is attainable. Make it happen is about getting people on board to understand and buy into the strategy for change. Make it stick is about creating a new culture and helping others to take hold of new ways of doing things. As change agents, the collaborative team is empowered to act and embrace the change. In collaborative relationships, there are significant give-and-take reactions, so collaboration at the onset needs to show quick victories. When the collaborative push becomes the hardest, it seems this is the time to see through to the other side. Yahoo! Mail Passwords Are Secure, but What If You Lose Your Phone? How Do You Develop a Collaborative Leadership Style? What Does 'Web 2.0' Even Mean?